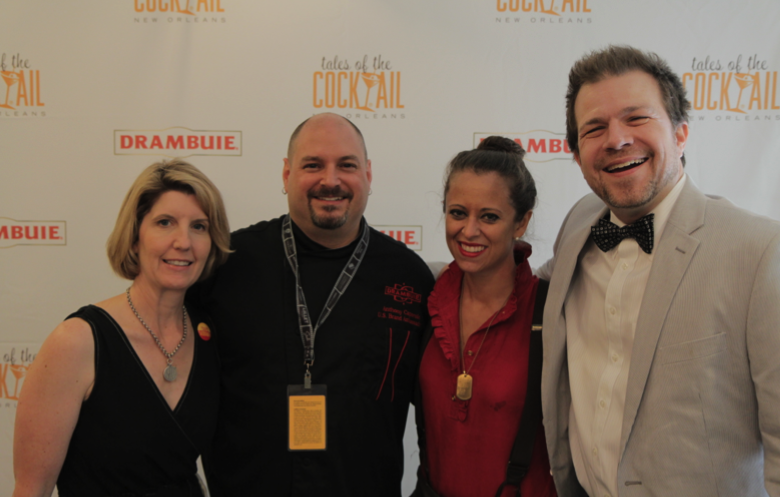 Watch the video above BourbonBlog.com‘s Tom Fischer juges the Tales on Tap Cocktail Competition at Tales of the Cocktail 2013 along with Drambuie National Brand Ambassador Anthony Caporale and Pamela Wiznitzer. 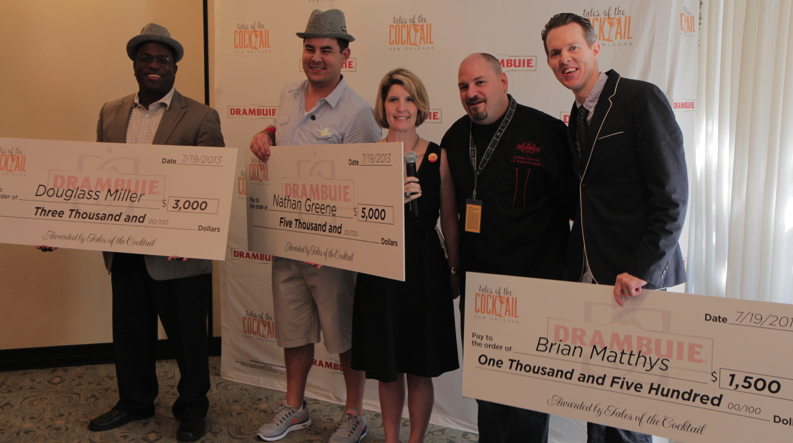 We congratulate Nathan Greene, a bartender at RM Seafood in Las Vegas, Nevada, as the 1st place winner of the 2013 New Orleans Culinary and Cultural Preservation Society (NOCPPS) Tales on Tap Competition, sponsored by Drambuie Liqueur. Greene’s winning draft cocktail recipe is below, “Nuttin Honey!”, combines Drambuie Liqueur with Rye Whiskey, Dry Sherry and Walnut Bitters and is garnished with an orange swath. For winning the competition, Greene was presented with a $5,000 check by Tales of the Cocktail founder Ann Tuennerman. The other two runner up draft cocktail recipes are on this link. In fact, everyone was a winner as Douglass Miller’s Portree won 2nd place for $3,000a nd Brian Matthys and his Gilded Kit won 3rd place for $1,500. 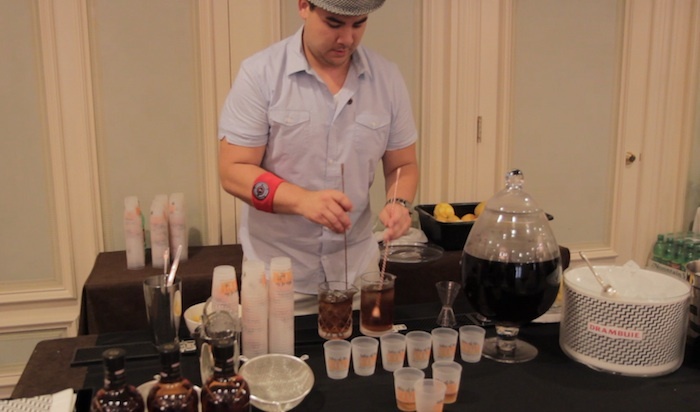 The Tales on Tap Competition were invited bartenders nationwide to submit their recipes for draft cocktails on tap – the hottest trend in cocktails today. Bartenders’ draft cocktail (large batches of pre-made cocktails served in draft form) recipes were judged on the basis of taste, originality, presentation and for a creative take on the cocktail on tap concept. A member of the U.S. Bartenders Guild, Greene recently started his own bartending consultancy, Libation Restoration, with partners Roger Gross from Vesper Bar at The Cosmopolitan and Stan Stilwell, also a bartender at RM seafood in Las Vegas. Combine all ingredients, sans orange swath, and stir to chill with ice in a mixing glass. Strain into a chilled Tulip or coupe cocktail glass. Garnish with an orange swath with the orange oils squeezed in first, then drop the swath in the drink. 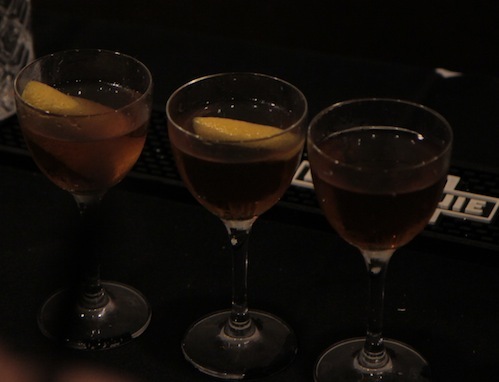 For more great cocktail recipes, subscribe to our free newsletter here and watch our complete Tales of the Cocktail coverage.